In the last episode, we were left gasping as the story revealed that Greta actually planned the whole thing since she lost the love of her life, August Muller. If you think that 'The Vampire Diaries' is actually better than its spinoff 'The Originals,' this episode will make you change your mind. What a cliffhanger of an episode! But first, let's catch up. In the last episode of this season, 'Don't It Just Break Your Heart' we saw Hope (Danielle Rose Russell) run off with Roman to get rid of her wolf side. Freya (Riley Voelkel) returns to New Orleans while Elijah (Daniel Gillies) is absolutely unaware of what's going on with Greta Sienna (Nadine Lewington), the crazy evil genius vampire. Hayley (Pheobe Tonkin) is still missing and Klaus (Joseph Morgan) is absolutely losing his mind as Hope vanishes with the teenage boy. Caroline (Candice King) makes an entry giving us all hope that Nik and Car may get back together. We were left gasping as the story revealed that Greta actually planned the whole thing since she lost the love of her life, August Muller. Nik killed him of course. A 20-second-long teaser for the latest episode was quite mysterious in itself. 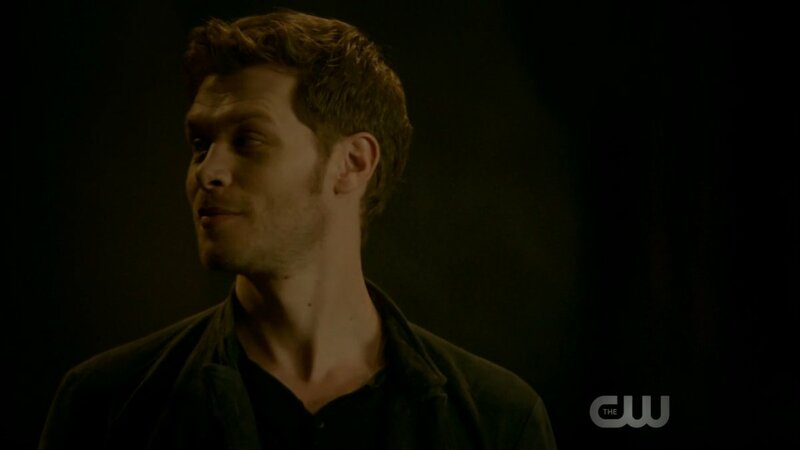 It started with Klaus looking like he was dangerously close to exploding, asking where in the world his daughter was. In 'What, Will, I, Have, Left', Klaus sets out to find his daughter with Caroline by his side. Car rides seem to get the romance out of Vampies too - Klaus asks her if she regretted being with him to which she says no, and then goes, "But I do think that I represented something for you back then, something innocent. It reminded you of a part of yourself that you lost and wished that you could get back. If we had never met until now I wonder if you’d even notice me." To which Klaus replies, "It would be impossible not to notice you, Caroline." No, we are not crying, you are. While these two are getting nostalgic, Roman has managed to get Hope in chains. He takes her to the place where Hayley remains hidden. The mom and daughter duo try to convince Roman to let them go saying that his mum wants to kill them and is insane, both of which are very true. Roman refuses to believe that his mum could do something like that, stupid as he is. He goes out to call Antoinette, his sis and as they talk, Haley and Hope try to come up with a plan. Elijah and Antoinette are visited by Greta after she broke free from Klaus' dungeon and escaped in the last episode. She poisons Elijah's mind saying that Roman, her son, has a thing for Hope and that Klaus is out for his blood. Elijah sets off to find the two teens. Now comes the crazy showdown - all of them reach the cabin in the middle of nowhere. Elijah takes on Klaus (he reaches there after Freya locates Hayley through magic) and Hayley takes on Greta (who comes to see her Roman and the girls). By now, Hayley has been bound and she's no longer a hybrid only a vampire without a daylight ring. Also, Hope and Roman are both knocked out. Klaus beats Elijah and gets inside the cabin at which point Elijah pulls an original and stakes him from behind. Klaus is bleeding on the floor. At the same time, Greta has Hayley by the neck and a hand on her heart. As she twists her thumb trying to grab it out, Hayley takes a moment - she looks at the father of her child, bleeding out trying to save their lives and her daughter, on the floor unaware of everything that is happening. She smiles and gathers courage. Honestly, one can feel the surge of energy through her. Next thing you know, Greta's thumb comes off and Hayley pushes her out the door, into the sun and both burn to ashes. Yes, Hayley dies along with our villain. The whole time, Elijah fights on his side. This season may just be the best season for the series. It also happens to be its last, which is perhaps why CW is making this so memorable. It's everything you expect and more. This episode has made some major character reveals too. First of all, we see the growth of Klaus. He's definitely more mature and in some ways has learned to live without Elijah. If I may dare say, Klaus has gone soft on the inside in the best way possible. He's still the terror on the outside though. Elijah's shift is shocking. But there has to be another explanation to it, for sure. He's definitely proved that he's smarter than he looks in the story so far. Greta's manipulation and her belief in the Nazi-like cause of cleansing her species are at its peak. Hayley proves to be a true alpha, one that would do everything for the greater good. Roman is not an evil guy, just a grateful orphan who was raised the wrong way. We also get to know that Vincent still feels guilty about what happened with Cami (Leah Pipes). Antoinette (Jamie Murray) may just be innocent after all. The next episode 'God's Gonna Trouble The Water' airs on June 9, 2018, on CW.